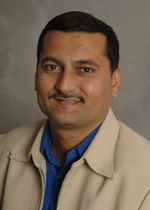 Dr Parmod Chand joined Macquarie University in 2004. He has also held teaching positions at the University of the South Pacific, Fiji. He is involved in teaching financial accounting courses both at undergraduate and postgraduate levels. His research provides strong evidence and rejects the simplistic assumptions made by mainstream accounting research that accounting information and financial models are largely consistent, neutral and value-free. His research program adopts a multi-disciplinary approach to provide empirical evidence on ways of enhancing the comparability and quality of accounting for decision-making purposes in both local and international contexts. He has published papers in this area on a number of countries including Australia, New Zealand, China, Japan, Fiji and Papua New Guinea. He has also initiated a number of learning and teaching-related projects, in particular to examine the difficulties faced by accounting educators in conveying the meaning of principles-based accounting standards to international accounting students studying in foreign countries. Tsunogaya, N., S. Sugahara (Scholars from Japan) and P. Chand. The Impact of Different Types of Lease Accounting Standards and Different Environment on Judgments of Japanese Professional Accountants. Tsunogaya, N., S. Sugahara and P. Chand. The Impact of Social Influence Pressures, Commitments, and Cultural Values on Judgments of Auditors: Evidence from Japan. Long, W., X. Song (Scholars from China), H. Wu and P. Chand. Government Relationship, Tax Planning, and Firm Value. Shen, H. (Scholar from China), H. Wu and P. Chand. The Impact of Corporate Social Responsibility Disclosure and Assurance on Investment Decisions. Chand, P., P. Leung, N. Martinov-Bennie & P. Carey. Convergence of Judgement in applying Accounting Standards: Evidence from Australia. Dinuja, P., P. Chand & R. Mala. Confirmation Bias in the Reporting Judgments of Accountants when Applying International Financial Reporting Standards (IFRS) for Small and Medium-sized Enterprises (SMEs). Maradona, A. F. & P. Chand. The Pathway of Transition to International Financial Reporting Standards (IFRS) in Developing Countries: Evidence from Indonesia. Dinuja, P. & P. Chand. User Perceptions of the Decision Usefulness of Financial Statements Prepared in Compliance with International Financial Reporting Standards (IFRS) for Small and Medium-Sized Enterprises (SMEs). Mala, R. & P. Chand. Influence of Experience and Accountability on Information Use and Judgments of Accountants. Chand, P., C. Patel & H. Perera. Cultural and Non-Cultural Factors Affecting Judgments of Professional Accountants: A Comparative Study of Australia and Fiji. Mala, R. & Chand, P. (2015). Commentary of Phase A of the Revised Conceptual Framework: Implications for Global Financial Reporting. Advances in Accounting, incorporating Advances in International Accounting, 31, 209-218. Perera, D. & Chand, P. (2015). Issues in the adoption of international financial reporting standards (IFRS) for small and medium-sized enterprises (SMES). Advances in Accounting, incorporating Advances in International Accounting, 31 (1), 165-178. Chand, P., Patel, A., & White, M. (2015). Adopting International Financial Reporting Standards for Small and Medium-sized Enterprises. Australian Accounting Review, 25 (2), 139-154. Mala, R. & Chand, P. (2015). Judgment and decision-making research in auditing and accounting: future research implications of person, task, and environment perspective. Accounting Perspectives, 14 (1), 1-50. Chand, P., Cheung, E., & Cummings, L. (2015). An Examination of learning outcomes between local and international Chinese students: evidence from an Australian accounting program. Global Perspectives on Accounting Education, 12, 97-119. Mala, R. & Chand, P. (2014). Impacts of additional guidance provided on international financial reporting standards on the judgments of accountants. The International Journal of Accounting, 49 (2), 263-288. Mala, R. & Chand, P. (2014). Responses to the discussion of Impacts of additional guidance provided on international financial reporting standards on the judgments of accountants. The International Journal of Accounting, 49 (2), 291-292. Hu, Y., Chand, P., & Evans, E. (2013). The Effect of national culture, acculturation, and education on accounting judgments: a comparative study of Australian and Chinese culture. Journal of International Accounting Research, 12 (2), 51-77. Chand, P. (2012). The effects of ethnic culture and organizational culture on judgments of accountants. Advances in Accounting, incorporating Advances in International Accounting, 28 (2), 298-306. Chand, P., Cummings, L. S., & Patel, C. K. (2012). The Effect of accounting education and national culture on accounting judgments: a comparative study of Anglo-Celtic and Chinese culture. The European Accounting Review, 21 (1), 153-182. Tsunogaya, N. & Chand, P. (2012). The complex equilibrium paths towards international financial reporting standards (IFRS) and the Anglo-American model: the case of Japan. The Japanese Accounting Review, 2, 117-137. Mala, R. and P. Chand. 2012. The Effect of the Global Financial Crisis on Accounting Convergence. Accounting and Finance, 52, 21-46. Chand, P., Patel, C., & Patel, A. (2010). Interpretation and application of new and complex international financial reporting standards in Fiji: Implications for convergence of accounting standards. Advances in Accounting, incorporating Advances in International Accounting, 26 (2), 280-289. Chand, P., Patel, C., & Day, R. (2009). Factors Causing Differences in the Financial Reporting Practices in Selected South Pacific Countries in the Post-Convergence Period. Asian Academy of Management Journal, 13 (2), 111-129. Chand, P. & Patel, C. (2008). Convergence and harmonization of accounting standards in the South Pacific region. Advances in Accounting, incorporating Advances in International Accounting, 24 (1), 83-92. Chand, P. & Cummings, L. (2008). The Political and Unstable Nature of the IASB's 'Stable Platform': Post-Convergence Australian Experience. Australian Accounting Review, 18 (46), 175-184. 17.Narayan, V. & Chand, P. (2008). A Framework for Assessing Organisational Values Reflected in Corporate Sustainability Reporting. Journal of the Asia Pacific Centre for Environmental Accountability, 14 (3), 17-Mar. Chand, P., Day, R. and Patel, C. (2008). Factors Causing Differences in the Financial Reporting Practices in Selected South Pacific Countries in the Post-Convergence Period. Asian Academy of Management Accounting Journal, 13 (2): 111-129. Chand, P. & White, M. (2007). A critique of the influence of globalization and convergence of accounting standards in Fiji. Critical Perspectives on Accounting, 18 (5), 605-622. Chand, P. & White, M. (2006). The Influence of Culture on Judgments of Accountants in Fiji. Australian Accounting Review, 16 (3), 82-88..
Chand, P. (2005). Convergence of accounting standards in the South Pacific Island nations: the case of Fiji. Journal of Pacific Studies, 28 (2), 269-290. Chand, P. (2005). Impetus to the success of harmonization: the case of South Pacific Island nations. Critical Perspectives on Accounting, 16 (3), 209-226. Chand, P. and M. White. 2005. Can Fiji Accountants handle IASs. The Fiji Accountant (April): 9-14. Chand, P. 2006. The Australian Experience: Adoption of International Financial Reporting Standards. The Fiji Accountant (June): 40-43. Narayanan, V. and P. Chand. 2007. Enhancing Sustainability Reporting Practices. The Fiji Accountant (January-March): 12-13. Chand, P. and L. Cummings. 2008. Embracing IFRS for SMEs: An Australian Perspective. The Fiji Accountant (October): 6-8. Chand, P. 2009. The Effect of Ethnic Culture on Judgments of Professional Accountants in Fiji. The Fiji Accountant (June): 5-7. Chand, P. and C. Patel. 2011. Achieving Global Convergence of Financial Reporting Standards. Emerald JAI Publishing, Bingley, UK. Prasad, P. & Chand, P. (2015). The Changing Face of the Auditor's Report: Implications for Suppliers and Users of Financial Statements. Accounting and Finance Association of Australia and New Zealand (AFAANZ) Conference, Hobart, Australia, 5–7 July. Dinuja, P., Chand, P. & Mala, R. (2014). Confirmation Bias in the Reporting Judgments of Accountants when Applying International Financial Reporting Standards (IFRS) for Small and Medium-sized Enterprises (SMEs). British Accounting and Finance Association Conference, London, UK, 14–16 April. Maradona, A. F. & Chand, P. (2014). The Pathway of Transition to International Financial Reporting Standards (IFRS) in Developing Countries: Evidence from Indonesia. Critical Perspectives on Accounting Conference, Toronto, Canada, 7–9 July. Han, Y. & Chand, P. (2013). The Route of Accounting Convergence in Australia: A Journey of Triumph or Gripes. European Accounting Association (EAA) Annual Congress, Paris, 5–8 May. Dinuja, P. & Chand, P. (2013). Issues in the Adoption of International Financial Reporting Standards (IFRS) for Small and Medium-Sized Enterprises (SMEs). Accounting and Finance Association of Australia and New Zealand (AFAANZ) Conference, Perth, 5–7 July. Tsunogaya, N., Sugahara, S. & Chand, P. (2013). The Impact of Different Types of Lease Accounting Standards and Different Environment on Judgments of Japanese Professional Accountants. Asia Pacific Interdisciplinary Research in Accounting Conference, Kobe, 26–28 July. Han, Y. & Chand, P. (2012). Problems posed in the Interpretation and Application of International Financial Reporting Standards: Evidence from Australia. International Conference on Critical Accounting, Baruch College at the City University of New York, 26–27 April. Mala, R. & Chand. P. (2012). Impacts of Additional Guidance Provided on International Financial Reporting Standards on the Judgments and Confidence of Accountants. The International Journal of Accounting Symposium, Niagara Falls, Canada, 5–7 July. Mala, R. & Chand, P. (2012). Influence of Experience and Accountability on the Information Selection Ability and Judgments of Accountants. 24th Asian-Pacific Conference on International Accounting Issues, Maui, Hawaii, 21–23 October. Hu, C., Chand, P. & Evans, E. (2011). The Effect of National Culture, Acculturation and Education on Accounting Judgments: A Comparative Study of Australian and Chinese Culture. British Accounting and Finance Association Conference, Birmingham, UK, 12–14 April. Chand, P. (2009). The Effects of Ethnic Culture and Organizational Culture on Judgments of Professional Accountants. European Accounting Association (EAA) Annual Congress, Tampere, 12-15 May. Chand, P., Cummings, L. and Patel, C. (2009). The Effect of Accounting Education and National Culture on Accounting Judgments: A Comparative Study of Anglo-Celtic and Chinese Culture. American Accounting Association 2009 Annual Meeting, New York, 1-5 August. Chand, P., Cheung, E. and Cummings, L. (2009). Effect of Nationality on the Performance of Local and International Students in an Australian University. American Accounting Association 2009 Annual Meeting, New York, 1-5 August. Chand, P., Cummings, L. and Patel, C. (2009). The Effect of Accounting Education and National Culture on Accounting Judgments. Accounting and Finance Association of Australia and New Zealand (AFAANZ) Conference, Adelaide, 5-7 July. Mala. R. and Chand, P. (2009). The Effect of the Global Financial Crisis on Accounting Convergence. Conference on Financial Crisis, Causes, Characteristics and Effects, Perth, 23-25 November. Chand, P. (2008). Factors Affecting Judgments of Professional Accountants: A Comparative Study of Australia and Fiji. Accounting and Finance Association of Australia and New Zealand (AFAANZ) Conference, Sydney, 5-8 July. Chand, P. (2008). Accounting Judgment and Decision Making Research in Top-Tier Accounting Journals (1971-2005). Annual Congress of the European Accounting Association, Rotterdam, 23-25 April. Chand, P., Patel, C and Patel, A. (2007). Interpretation and Application of 'New' and 'Complex' International Financial Reporting Standards: Implications for Convergence of Accounting Standards. American Accounting Association 2007 Annual Meeting, Chicago, 5-8 August. Cummings, L. and Chand, P. (2007). A Neofunctionalist Perspective on International Accounting Convergence: Analysis and Insights. 5th Asia Pacific Interdisciplinary Research in Accounting Conference, Auckland, 8-10 July. Chand, P. and White, M. (2007). Embracing International Financial Reporting Standards (IFRS) and Small and Medium-Sized Enterprises IFRS: Implications for Emerging Economies. Accounting and Finance Association of Australia and New Zealand (AFAANZ) Conference, Gold Coast, 1-3 July. Narayanan, V. and Chand, P. (2007). Success of the Sustainability Reporting Standards and Organizational Culture: An Australian Case Study. 3rd International Conference on Environmental, Cultural, Economic and Social Sustainability, Chennai, 4-7 January. Chand, P., Patel, C. and Cummings, L. (2006). Relevant Standards for Small and Medium-Sized Enterprises: The Case for the South Pacific Region. IAAER 10th World Congress of Accounting Educators, Istanbul, 9-11 November. Chand, P. (2006). International Accounting Standards Board's 'Stable Platform' Was Never Stable: Impact on Australian Accounting Standards Board. Asian Academic Accounting Association (AAAA) Conference, Sydney, 17-19 September. Chand, P., Day, R. and C. Patel. (2006). Comparable Financial Reporting in a Post-Convergence Period: A Myth or Reality. Emerging Issues in International Accounting & Business Conference, Padova, 20-22 July. Chand, P., Patel, C. and Patel, A. (2005). Judgments of Professional Accountants in Fiji: Implications for Convergence of Accounting Standards. Emerging Issues in Accounting, Business and Technologies Conference, Niagara Falls, 4-6 August. Chand, P. and White, M. (2005). The Influence of Culture on Judgments of Accountants in Fiji. Accounting and Finance Association of Australia and New Zealand (AFAANZ) Conference, Melbourne, 3-5 July. Chand, P. and Patel, C. (2005). Convergence and Harmonization of Accounting Standards in the South Pacific Region. International Accounting Conference on Effects of Globalization on Financial Reporting, Istanbul, 25-29 May. Chand, P. and White, M. (2005). Financial Reporting in Fiji: The Influence of Globalization and Professional Interest: A Critique. Critical Perspectives on Accounting Conference, New York, 28-30 April. Dean of Studies (2010-2012) - Dunmore Lang College (residential college affiliated with Macquarie University). I am a peer reviewer for Critical Perspectives on Accounting, International Journal of Economics and Accounting, Journal of Business Ethics, and Managerial Auditing Journal. I have acted as a session chair, discussant and reviewer for eleven international accounting conferences in recent years, particularly on sessions related to international accounting and education. Dr Chand is willing to supervise HDR students who intend to undertake cutting-edge research in the domain of accounting judgment and decision making. In particular, he has been widely using surveys and experiments to examine the factors affecting the interpretation and application of international financial reporting standards, and has developed a considerable knowledge and expertise in utilising these two research methodologies in accounting. Such skills would be desirable for candidates who want to undertake PhD projects under his guidance. Perera, Dinuja – Full time (Principal Supervisor). "Adoption of International Financial Reporting Standards (IFRS) for Small and Medium-sized Enterprises (SMEs): Problems and Challenges". Sammy, Ying – Full time (Associate Supervisor). "The Influence of Acculturation on Judgments Related to Professional Scepticism: Evidence from China and Australia". Prasad, Pranil – Full time (Principal Supervisor). "The Impact of Recent Changes in the Audit Regulations and Auditing Standards on Auditors' Judgment and Decision Making". Maradona, Agus – Full time (Principal Supervisor). "Challenges in the Convergence of International Financial Reporting Standards (IFRS): A Comparative Study of Indonesia and Australia". Last Updated: 2018-05-29 14:45:11 by Ms Ervina Ang.